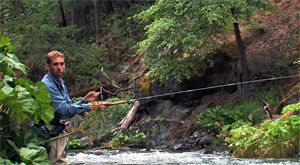 Yvon Chouinard does it. And plenty of less visible but equally rabid anglers have been bitten by the Tenkara bug. In this well-produced clip, Tenkara USA’s Daniel W. Galhardo narrates several sequences that demonstrate the elegance and simplicity of the flies, gear and techniques.